One of the primary purposes of a solid digital marketing campaign is to generate leads and drive those leads to your sales team. However, it’s also one of the most difficult to achieve, especially for new companies and in the short term. Through our blended approach to digital marketing, we take a big-picture view of your current marketing strategies and look for opportunities to strengthen what’s working, and improve what’s not. We can offer a number of different solutions to help raise awareness of your products and services now, whilst helping to get you noticed by Google in the longer term. 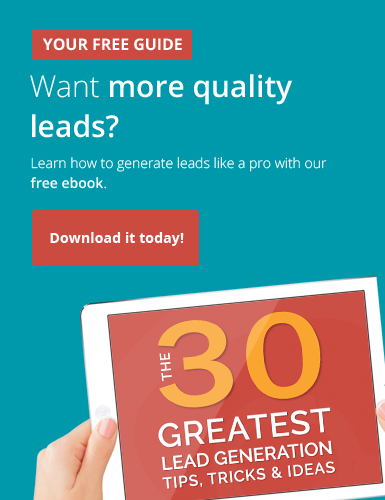 How do we help with lead generation? By combining the effective inbound marketing forces of blogging, premium content generation, search engine optimisation, and social media marketing with outbound services like search engine marketing (PPC), email marketing and our social prospecting assistance, we can create a lead generation campaign with impact. Because we believe in tracking and monitoring your marketing campaigns from the whole picture stuff right down to a granular level, we can see exactly what works and what doesn’t. By constantly analysing the date, then tweaking and testing the formula, we ensure that we do more of what’s working and less of what’s not. We’re fully committed to an inbound approach to marketing that will help you generate quick wins in the short term whilst building out a powerful lead generation machine over time that works hard to provide you with an ongoing stream of leads well into the future.